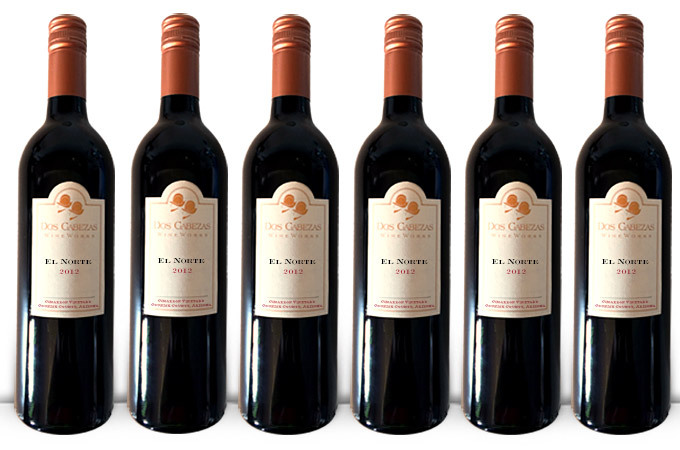 With the 24 bottle shipment, you will receive 2 cases of wine over 4 shipments throughout the season. Our WineClub season starts in October and ends in May. We will select 6 bottles of wine for you to enjoy per shipment. When visiting our winery TastingRoom in Sonoita, wine tasting for two is included with your WineClub membership (you will receieve two Dos Cabezas wine glasses to keep on your first visit). You will receive a 10% discount on all wine purchases (15% on purchases of 12 bottles or more). We operate a guest house adjoining the winery to which we will also apply a 10% discount. Because the majority of our wines are red, we will have only one shipment out of four that will contain whites and a rosé. You may opt out of certain shipments, or add bottles to your order depending on your enthusiasm for the wines included. Membership to the WineClub is complimentary.